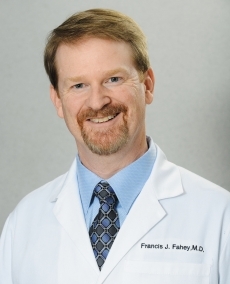 Francis Fahey, MD, FACC, is a board-certified cardiovascular disease specialist and a managing partner of AdventHealth Medical Group’s cardiology practice with offices in Altamonte Springs, Orlando, Oviedo and Winter Park. He is also the Non-Invasive/ Imaging Lab Director for AdventHealth Orlando. Dr. Fahey has earned “Top Doctor” recognition from Orlando Magazine in consecutive years and is a recognized authority on coronary artery disease, congestive heart failure, lipid disorders and preventive heart care.He is a graduate of New York Medical College and completed both his residency and advanced fellowship training in cardiovascular medicine at New York Hospital – Cornell Medical Center.